Last week industry leaders from the food, hospitality and technology sectors met for breakfast to discuss the technology trends shaping the sustainability agenda. With technology disrupting traditional methods of growing, distributing, storing and consuming food, our panellists agreed that real transformation will take place where both economic and sustainability agendas meet. The environmental performance of brands are fast becoming central drivers of consumer decision making alongside core features. Eco Pulse 2015 report shows step change -- it finds that 33% of consumers could name a specific brand they either actively chose or rejected because of environmental record (vs 11% in 2014). Millennials are more likely to demand responsible business practices as well as quality. They’re a powerful force in emerging economies (over 50 percent of consumers in India and over 40 percent in China), and around the world (more than 40 percent of consumers in Canada and Peru, more than 30 percent in the U.S.). With technology like GeoTraceability helping provide greater visibility throughout the supply chain, consumers can and will demand to know where and crucially how their goods and services have been produced. Ultimately if brands want to genuinely occupy a special place in their customers’ hearts, responsible behaviour is a prerequisite. The cost of sensors will continue to fall creating opportunity for a wide range of innovative, cost-effective agricultural productions systems. We’ve already seen early indication of this with new ‘vertical farms’ such as Green Sense Farms, which are able to harvest 26 times a year using 85% less energy than traditional methods. Here in the UK Growing Underground is backed by Michelin starred chef Michel Roux Jr. It uses LED technology to grow produce 100ft underneath one of the busiest cities in the world. At the consumer end the focus will be on reducing wastage where sustainability is concerned. Incorrect labelling at the point of consumption creates unnecessary waste as sellers and consumers throw away food which could have been safely eaten. Sensors developed by MIT that can detect ethylene, a gas that is emitted when plants ripen, could be used on individual pieces of produce to indicate when they are about to go off. The FAO found that 40% of all fruit and vegetables grown in Sub-Saharan Africa is wasted post harvest, which is primarily down to inefficient distribution and storage systems. With so much value being lost, the opportunity for technology to reduce wastage in this area and generate profits is significant. In the same way that mobile banking leapfrogged traditional retail banking, state changes in the capabilities of technology could revolutionise the food sector in developing markets. Companies like Promethean Power who develop solar cold storage systems for milk in India are already proving that there is huge market for solutions which meet the needs of people living in some of the world’s most challenging conditions. As companies look for ways of increasing efficiency, waste will become a source of opportunity rather than a problem or externality. Throughout the supply chain food waste has an estimated cost of over $1trn, which signifies a vast opportunity for startups to develop new technology which would provide significant value for operators and investors alike. 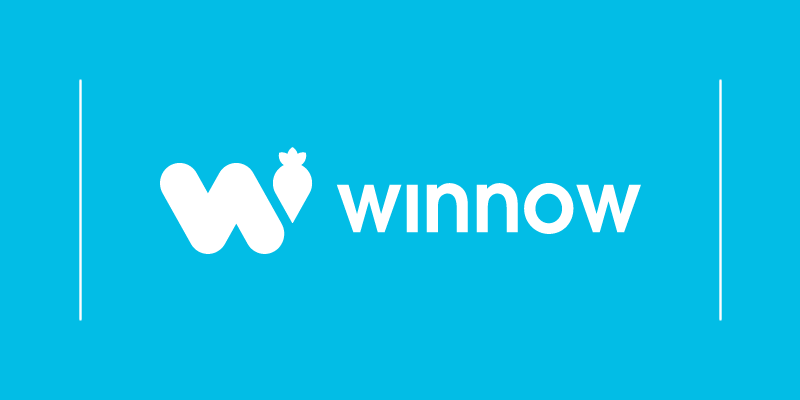 Winnow has now worked with over 150 kitchens who have seen their food waste cut by half. The sustainability impact is significant, as is the impact on profitability, with food gross margins increase by 2-6 whole percentage points. The UK drinks 70 million cups of coffee a year which produces 500,000 tonnes of waste. This generates £80m in costs to dispose of waste just within the coffee industry. Cambridgeshire based bio-bean are currently recycling the equivalent of 100 cups of coffee per second through their processing plant which turns waste coffee grounds into advanced biofuels. What next for the food and hospitality sectors? Our very own Marc Zornes from Winnow closed the event with a strong call to action to businesses saying that we are running out of time to address the impact of climate change. Those organisations that embrace more efficient, sustainable and ultimately profitable operating models will be better equipped to succeed in an ever changing ecosystem. Simon Boyle: Chef founder of the Brigade Bar & Bistro. 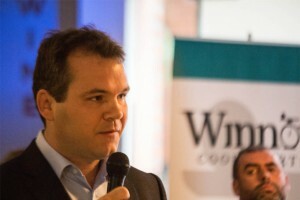 To sign up for future events and keep up to date with future trends briefings sign up to the Winnow blog.